June 14, 2017 By Chelsea T.
Who doesn't love a good ghost story? Well, in Oregon, there's a whole lot of them! From hospitals and asylums, to cemeteries, schools, theaters, restaurants, parks, bridges, and even roads, there's an endless amount of places throughout the state that are said to have some ghostly spirits lingering. Some of these creepy spots are located in the biggest of cities that everyone knows about, and others in small towns that only locals may know of. 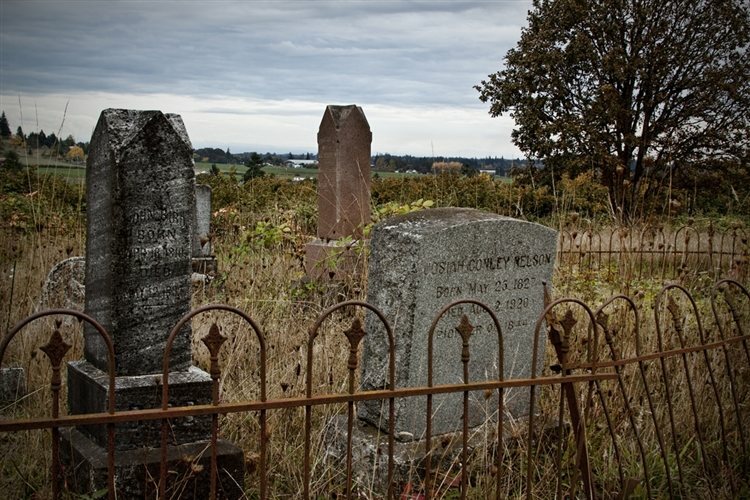 Take a peek below to check out our Top 10 Haunted Places in the state of Oregon! This hotel is situated inside a former Masonic lodge that dates back to the 1920s. The establishment features unique rooms, restaurants, a spa, live music and other events, and some ghosts, too! A white-haired woman wearing a print dress and slippers is known to linger the hotel, and a portrait of her apparition is even on prominent display inside the lodge. Some say the apparition looks like Anna, a woman who once lived in the building long ago, and died right before her 100th birthday. Although most cemeteries are quite creepy, the Lafayette Pioneer Cemetery is said to be a bit more eerie than others. Stories say that a woman was hanged after being accused of being a witch and that she haunts the cemetery. Her spirit has been spotted standing or wandering through the graveyard and some have heard her laughing. One witnesseseven claimed to have caught her voice on tape saying "Run Home!" Others say they've been chased out of the cemetery and then found deep cuts all over their backs. 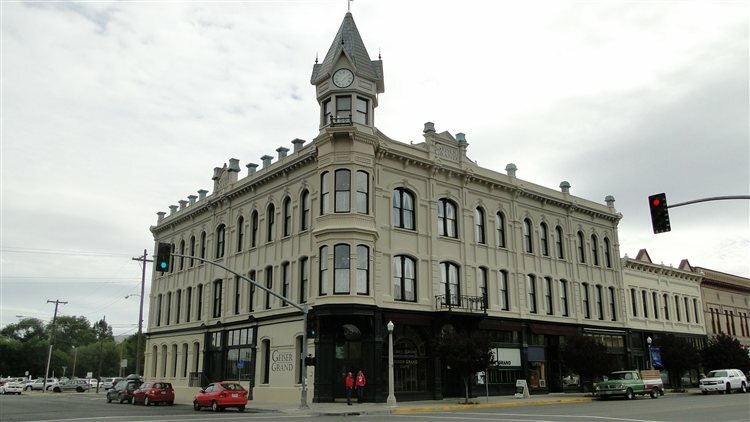 This Victorian landmark hotel first opened in 1899 and is located in the historic Downtown area of Baker City. 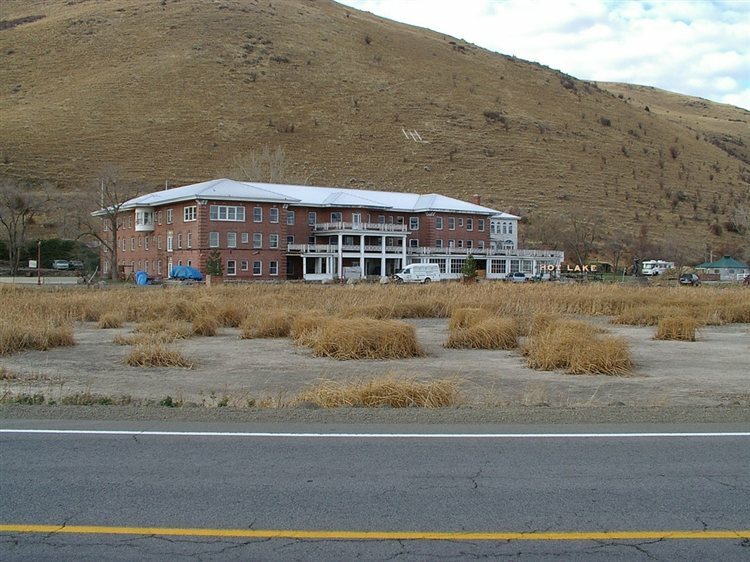 It was added to the National Register of Historic Places in December of 1978 and was known as "the Queen of the Mines" during the Gold Rush times. There are a few different hauntings surrounding the hotel, and is said to have a couple of apparitions residing there. One of the apparitions is that of a young girl, another is a saloon dancer from the 1920s, a headless former chef, a 1930s woman in a purple dress, a cowboy and his girlfriend and a "Lady in Blue" who is known to float up the grand staircase. Room 302 is where the former owner, Maybelle Geiser lived, and it is said the room is filled with paranormal activity. Her spirit has been known to rearrange the guests' jewelry and has even eaten their complimentary snacks. This French Renaissance-style chateau was originally built in the early 1900s as a private residence for Henry Pittock, a London-born Oregonian publisher, and his wife, Georgiana. It sits on 46 acres and overlooks the city's skyline. According to the home's official website, after Henry and Georigiana died, the last family members moved out and put the estate on the market after having a hard time maintaining it. The abandoned mansion was damaged in the 1962 Columbus Day Storm and the interior was left exposed to rain for 18 months. 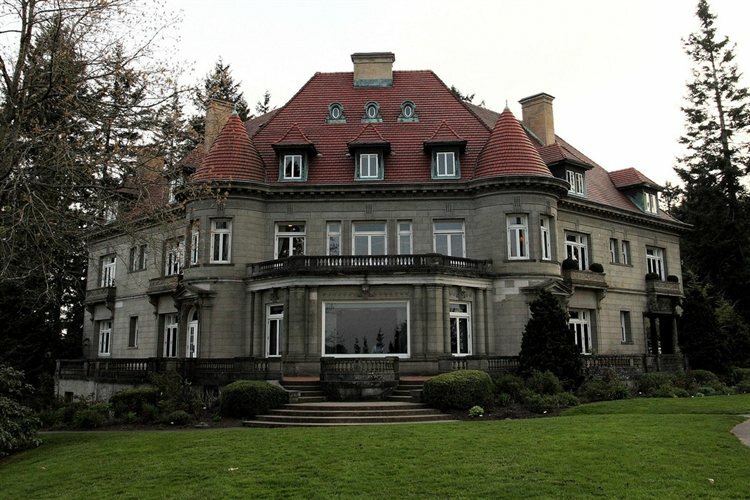 The City of Portland purchased the estate for $225,000 in 1964 and repairs took 15 months. On June 4th, 1965, the restored Pittock Mansion was opened to the public. Haunting reports at the mansion include the sound of heavy boots walking around the yard, and coming into the side door, believed to be the ghost of the grounds keeper. And there have been footsteps, windows that open and close on their own, and items that are moved around, attribute to Henry and Georgiana, who have both also been seen. Located on the Oregon Coast 13 miles north of Florence, the Heceta Head Lighthouse was first opened in 1894 and was listed on the National Register of Historic Places in 1978. The lighthouse was named after Spanish Explorer, Bruno de Heceta, who explored the Pacific Northwest during the late 18 century. Before him, Heceta Head was a popular fishing and hunting spot by Native American tribes that lived in the area. Believed to haunt the area is a ghost known as "The Gray Lady," also known as "Rue," who has been spotted by a number of people. 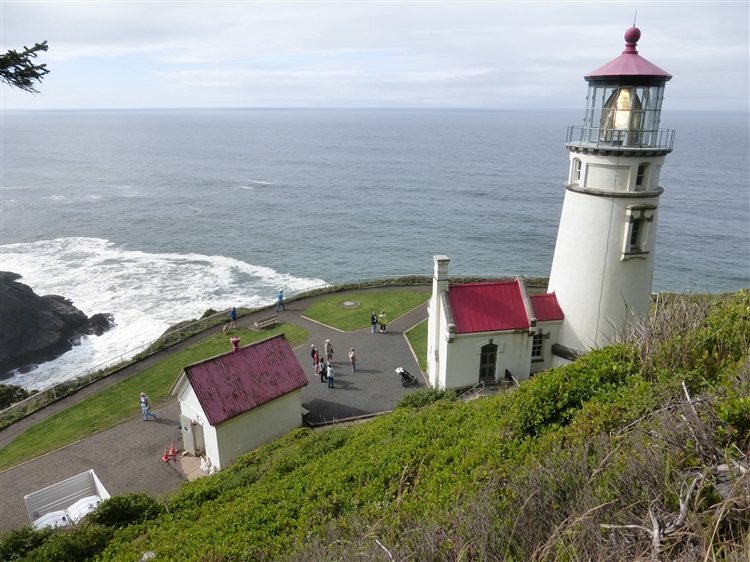 Some believe she is the wife of a former light keeper, while other stories suggest she is the child who was born at Heceta Head and that her grave was found on the grounds of the lighthouse. 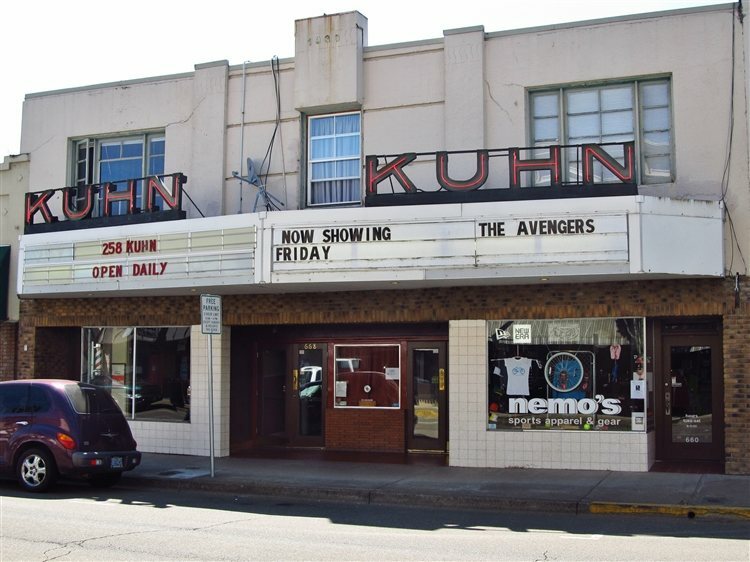 This single-screen theater on S. Main Street in Lebanon is a historic part of the city that dates back to the early 1930s. It is believed to be haunted by the spirit of a little girl in a white dress. Stories say she fell from the theater balcony and died, and now witnesses claim to hear her ghostly laughter. Other haunting reports at the theater include doors that open and close on their own, and even being hugged by an unseen presence. 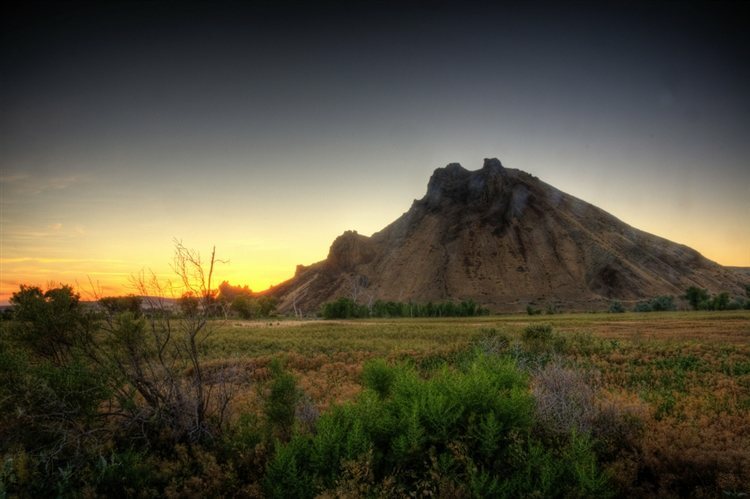 The Malheur Butte is an extinct volcano that has been inactive for millions of years. According to Wikipedia, the rock is just over 100 meters higher than the surrounding plains and the peak is 790 meters above sea level. Some stories say the volcano was created where witches used to meet in secret. Shadow creatures have been spotted here after dark and are even said to sometimes chase visitors. 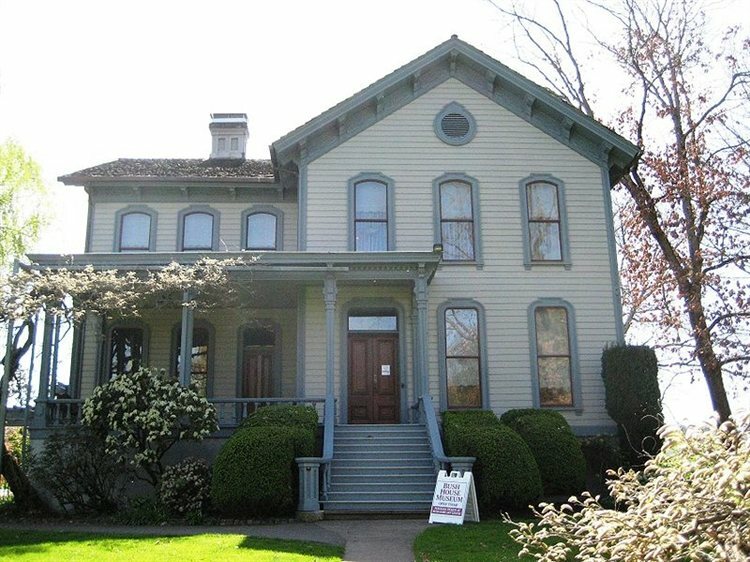 Dating back to the 1870s, this Victorian home and museum was added to the National Register of Historic Places in 1974 and is believed to be one of Oregon's most haunted spots. The ghosts that haunts the home is believed to be that of the daughter of Asahel Bush II, the home's builder. Eugenia was his youngest daughter, and her apparitions has been seen and blamed for moving the air conditioning system controls to turn up the heat. Other haunting reports here include cold spots, shadow figures and female voices. This historic Colonial Revival hotel was originally built in 1864 and sits on 15 acres. It was added to the National Register of Historic Places in 1979 and received its namesake from the thermal spring lakes located on the property. During the turn of the century, it operated as a luxury resort and sanatorium and is also the first known commercial building in the world to use geothermal energy as its primary source of heat. Some say the hauntings that take place here stem from the days it was once a sanatorium, saying that ghostly patients linger here. The ghost of a gardener has also been seen here, and stories say he killed himself on the property. Screams have also been reported coming from the former hospital wing. Dating back to 1905, this hotel also operates as a saloon and music venue, and is known as a legendary rock n' roll hotel. 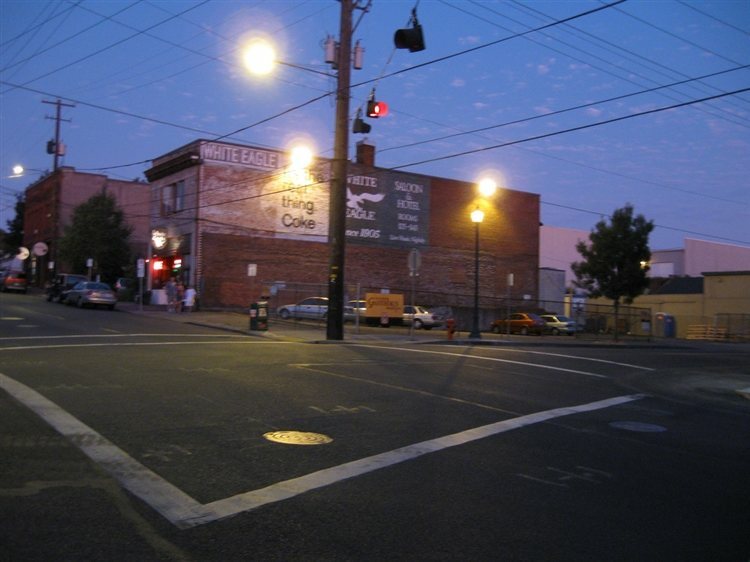 Some stories say that a brothel used to operate upstairs, and an opium den downstairs, connected to Portland’s underground tunnels that were then frequented by Chinese immigrants. The saloon ended up getting the nickname "Bucket of Blood" because of all the fights that took place there. Witnesses have claimed to see a man's apparition walking down to the basement at night after closing, or a ghostly prostitute who is seen crying, believed to be a girl who was murdered in the brothel. 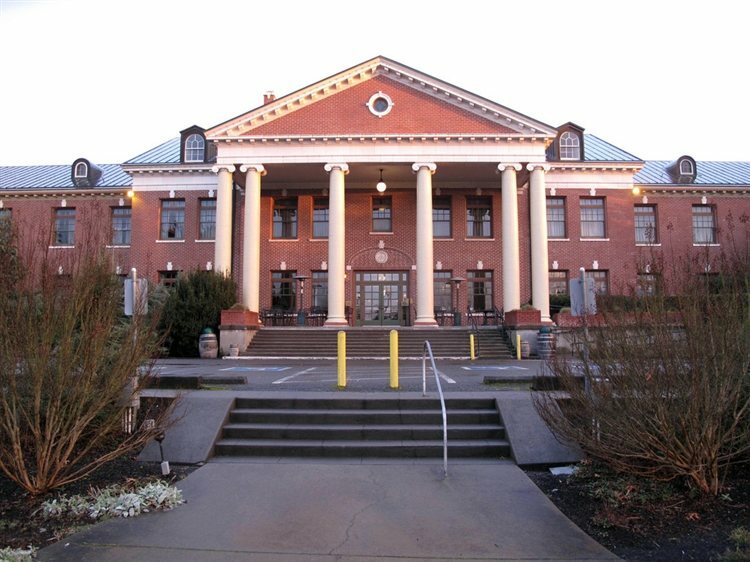 Click here to read about more Haunted Places in Oregon!